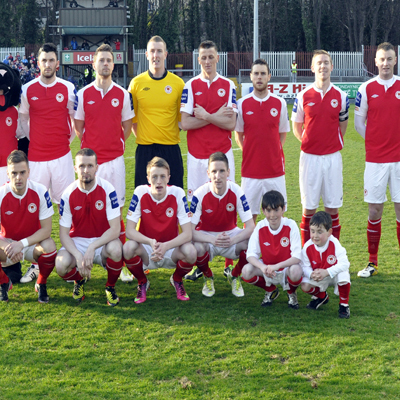 Ryan; O’Brien, Browne, Kenna, Bermingham; Byrne, Bolger, Russell, Brennan, Forrester; Flood (Fagan, 77). Rogers; Keane (Peers, 68), McMillan, Henderson, Gaynor; Djilali (Millien, 57), Ventre, Cawley, Lynch, Connolly (Davoren, 75), Elding. Sligo Rovers' perfect start to their league campaign came to an end as they suffered a 2-0 reverse at the hands of St Patrick's Athletic in their entertaining Airtricity League Premier Division tie at Richmond Park. Conan Byrne opened the scoring in the 21st minute when following up well after Kenny Browne's header had caused consternation in the visitor defence. 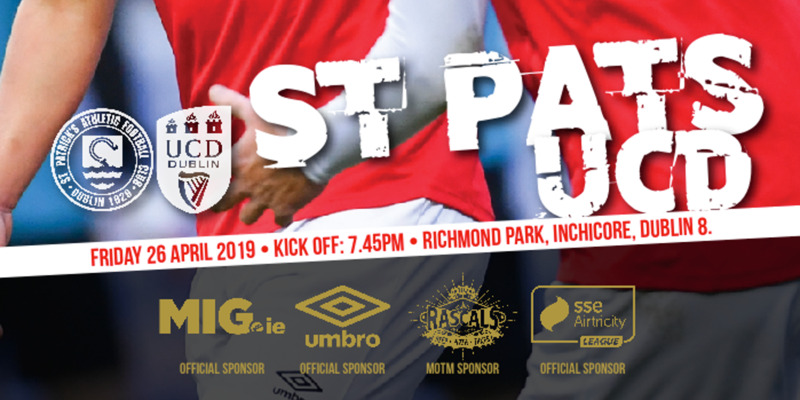 Despite missing numerous chances after the break, St Pat's settled the tie through a Killian Brennan penalty in the 89th minute with Iarfhlaith Davoren's dismissal three minutes earlier compounding a disappointing evening for the league holders. A fourth minute Danny Ventre snapshot aside, there was little to see from Sligo as an attacking entity, with the hosts setting the tempo from the opening whistle. 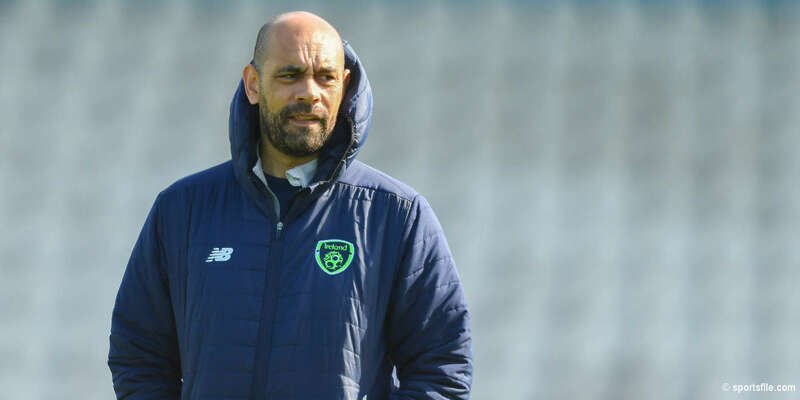 They were assisted by an uncharacteristically sloppy Sligo team, who were forced into a late change prior to kick-off when Raffaele Cretaro cried off. Kieran Djilali taking his place on the right side of midfield. The visitors continued to lose possession in threatening areas, with Jeff Henderson especially culpable and consequently the Saints were allowed to generate a head of steam through a series of attacking set pieces in the opening 15 minutes. A goal seemed on the cards at this juncture and it duly arrived in the 21st minute as another Killian Brennan corner-kick found the head of Kenny Browne, with Conan Byrne well placed to fire home from the centre-half's assist. 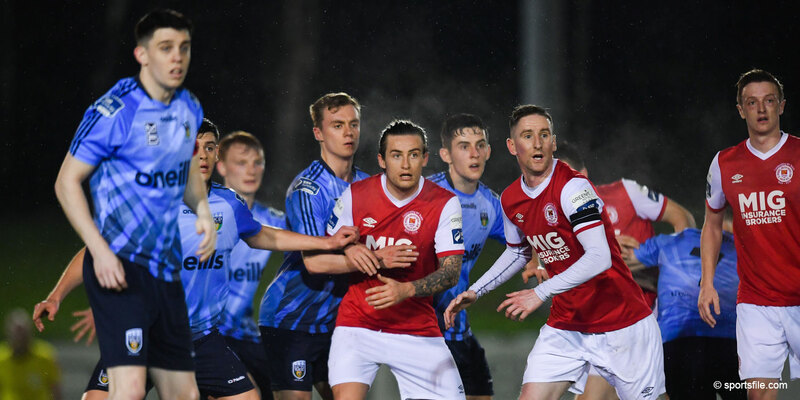 Buoyed by three successive league wins, St Patrick's Athletic maintained their territorial dominance, with Greg Bolger working tirelessly in midfield while Byrne and Christopher Forrester threatening sporadically down either flank. In contrast, Sligo looked bereft of ideas and failed to make use of their normally enterprising full-backs Alan Keane and Ross Gaynor, who had their hands full with their defensive duties. Despite their overall supremacy, the hosts failed to generate genuine scoring opportunities, with a Forrester shot that flew wide four minutes before the interval the closest they came to doubling their lead. Sligo showed greater intent in preserving their unbeaten status upon the resumption, with Keane joining attacks with greater purpose, but the final ball required to unlock a disciplined home defence was sadly lacking. The hosts seemed content to absorb this pressure and hit on the counter-attack, with Brennan forcing Gary Rogers into a routine save with a well-struck free-kick from 30 yards in the 58th minute. The same player showed wonderful technique in volleying from roughly the same distance, which also warmed Rogers' hands as the goal required to confirm their dominance failed to arrive for the hosts. Decent chances ensued for both the impressive Ian Bermingham and Bolger, with Henderson blocking the latter's low drive in the 70th minute as the hosts drove forward incessantly. The opportunities are still arriving as the contest evolved with Forrester once again the architect in the 82nd minute but his good work was wasted by substitute Christy Fagan, who drove wildly when well placed inside the area. Another substitute, Iarfhlaith Davoren, had greater misfortune befall him when he was dismissed four minutes from time for an injudicious challenge on Brennan, further undermining Sligo's ambitions. Their fate was sealed in the 89th minute as Evan McMillan stumbled over Byrne inside the area and Brennan's impudent strike from 12 yards gave the final margin a more accurate reflection, breathing fresh life into the title race in the process.